Trinity Lutheran Church is patterned on old-world Gothic cathedrals and was build in 1913. Generations of families have participated in sacred services and often former members who have moved off of the island return because they want to continue their family traditions. 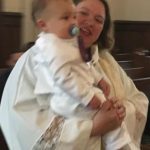 Holy Baptism is the sacrament by which God adopts us as his children and makes us members of Christ’s Body, the Church, and inheritors of the kingdom of God. We will be happy to meet with you and arrange to baptize your child. If you as an adult, wish to be baptized, we will meet with you and discuss the requirements for Adult Baptism. Wedding are happy occasions celebrated at Trinity and many couples are married here as were their parents and grandparents before them. 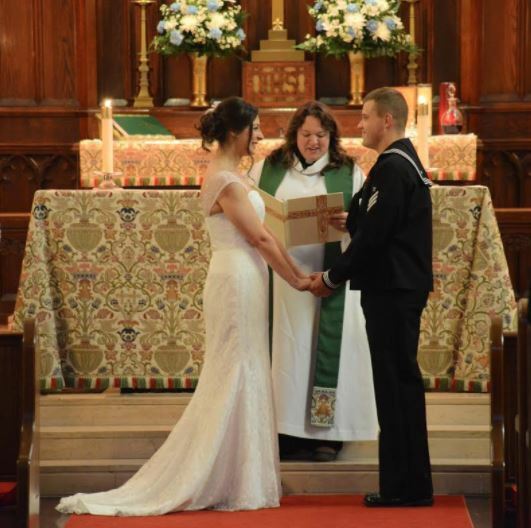 Our staff works closely with the couple in choosing vows, readings and music to bring their vision to life. 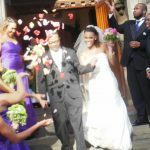 We welcome you to share in and experience the beauty of weddings at Trinity. The Funeral or Memorial Service is an opportunity for family and friends to remember one who has died. Trinity is prepared to offer simple memorials to “high” church funerals. Please call the Church office for assistance.